First of all, its pungent smell will cling to almost everything it touches, most especially your hands. Then, it needs a little bit of special attention when it comes to storage. Like its other finicky cousins, the potato and the mushroom, garlic needs a little bit of TLC. Pop them in one of Avanti’s Garlic Bags, and your garlic bulbs will stay fresh for weeks on end! 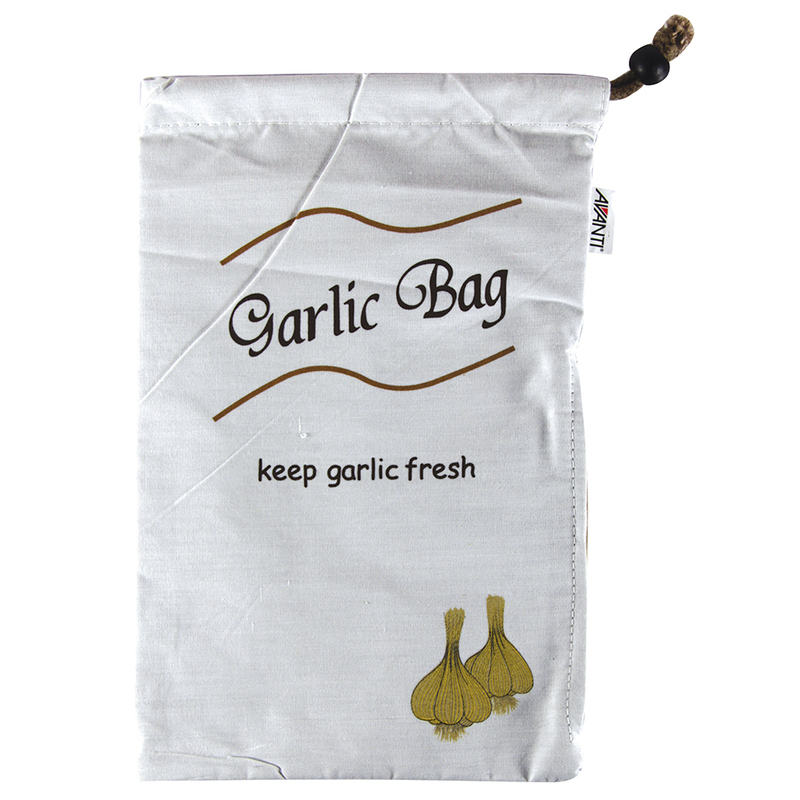 The fabric bag will keep garlic dry and therefore prevent it from sprouting, while the black lining ensures that your garlic is always kept in the dark. Zippered side, and drawstring closure. Keeps garlic dry so that the bulbs don't sprout.